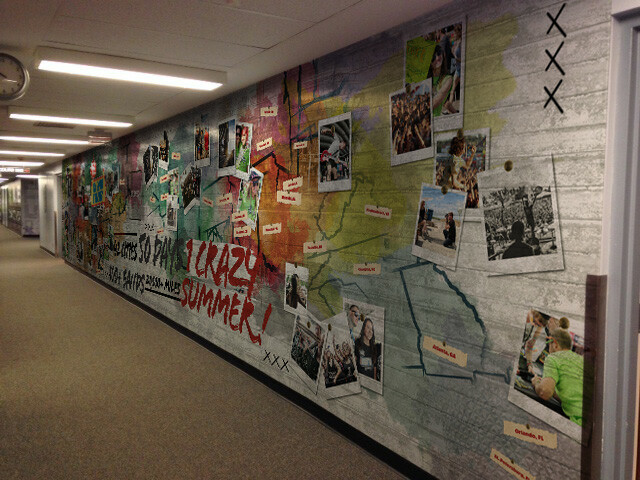 The Journey's office contacted Warped Tour to come up with a wall mural to go in their main office. 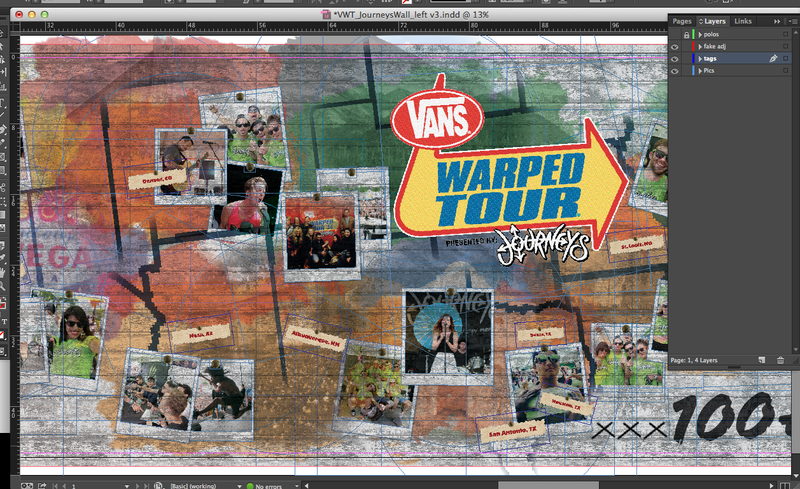 So I was tasked with this huge project. Because you know the wall is huge. 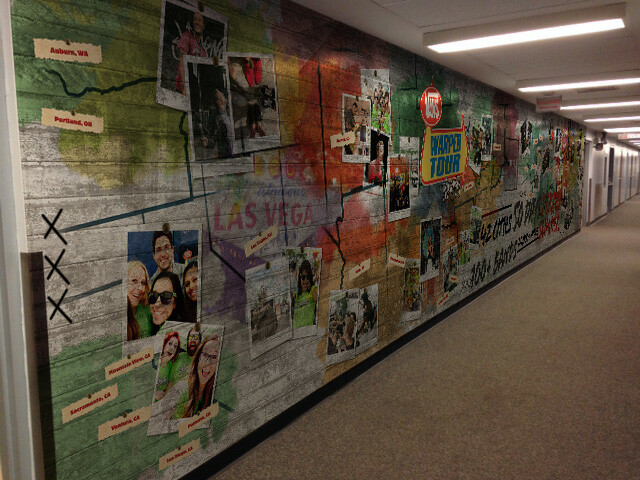 I was tasked to show how they travel all over the U.S. and the people they see across their long journey. I mean look at all of those blue squares.